Mike was born March 31, 1959, in Bowmanville, Ontario. 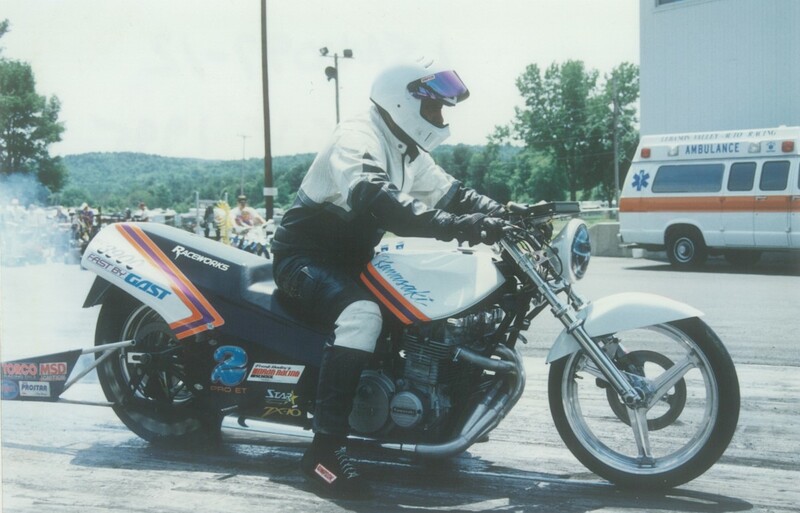 That’s 19 hours of driving, some 1254 miles north of Gainesville, Florida, where he raced in the PROSTAR series more than once, back in the day. 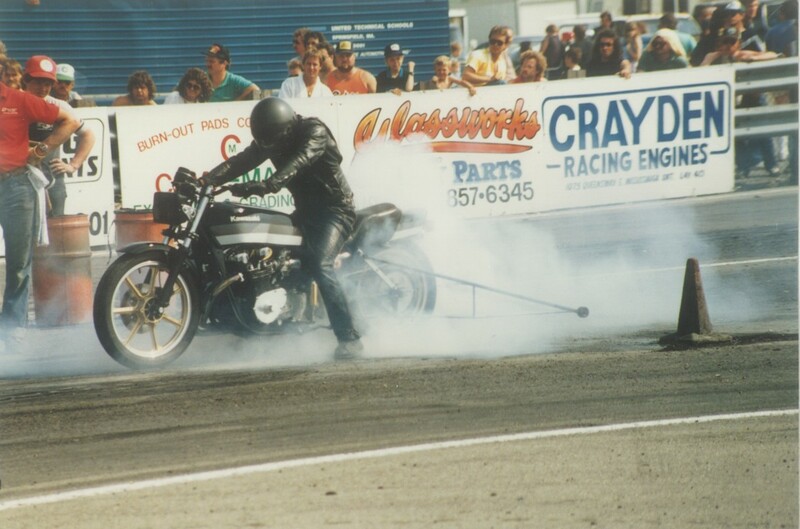 Mike was first drawn to motorcycle drag racing as a sport in 1981 when he attended the US Nationals at ATCO, NJ and saw Terry Vance on that Top Fuel bike. 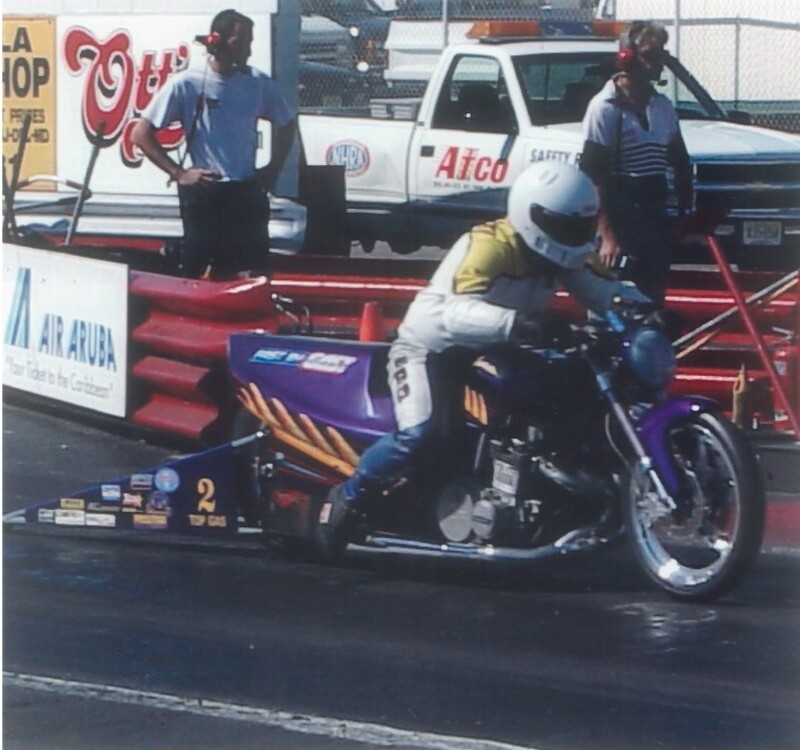 During the 1980’s Mike began motorcycle drag racing with his street bike at drag strips in Canada and in the USA. 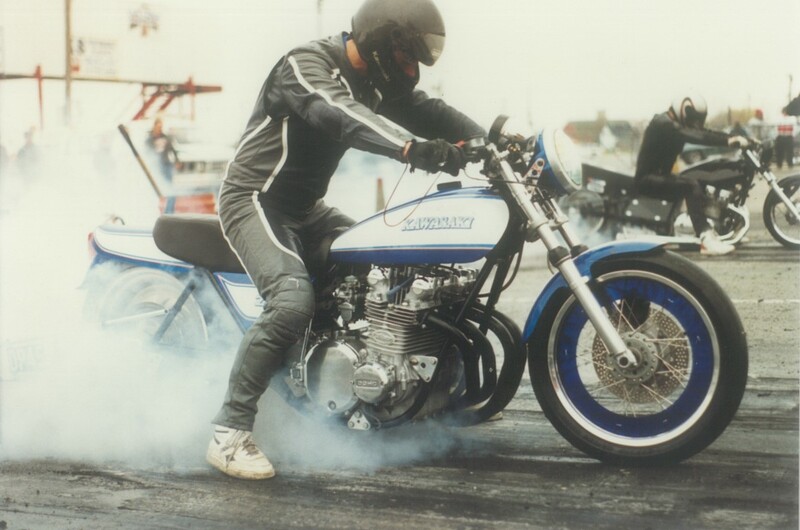 “My first race bike was a 1973 Kawasaki, 900 that was punched out to about 1075cc and it was my street bike as well.” As he developed as a drag racer, Mike cut his teeth at the local tracks in Canada, like Cayuga Ontario Speedway. Accordingly, Mike got in a lot of seat time, “For sure I’ve made over 23 passes in one day at a race. Now double that number for a two day national event and you can see how he honed his skills to a knife edge. 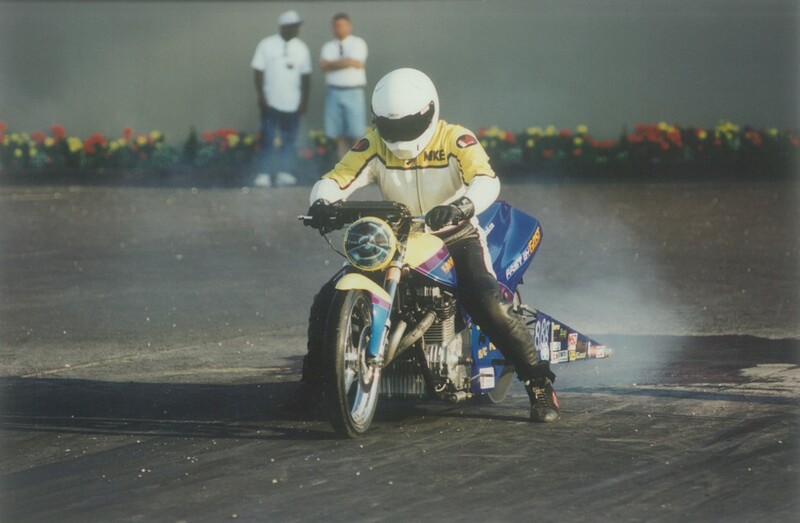 During Mike’s primary racing years, he amassed, over 100 final round appearances, over 400 round wins and 9 number 1 qualifying spots; between racing in Super Comp, Top Gas and ET racing class competition. His biggest win, or most memorable: his triple championship achievement during the 2009, AMA/PAROSTAR season. Mike will be the first to tell you, he didn’t achieve this by himself; Mike’s family were always there for him with support and encouragement. 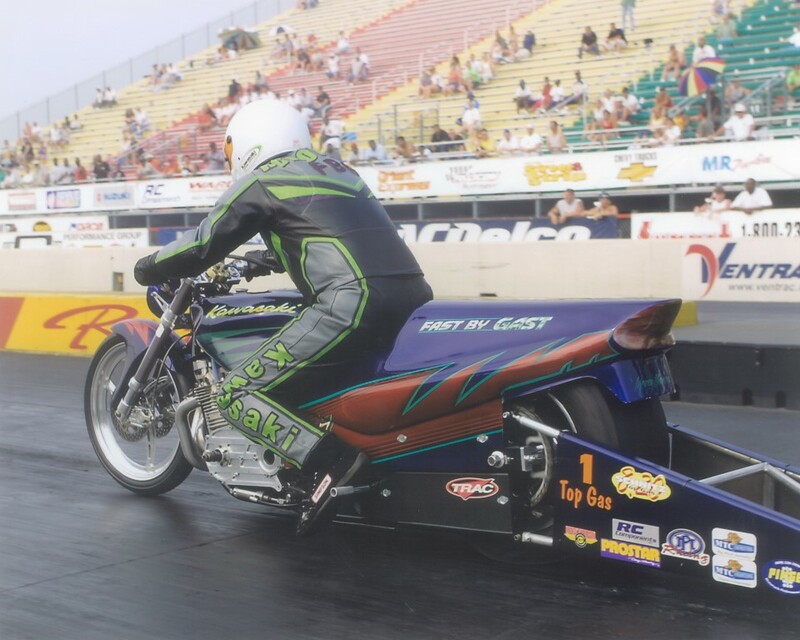 Paul Gast and his Fast By Gast shop always did whatever it took to get him out onto the race track. 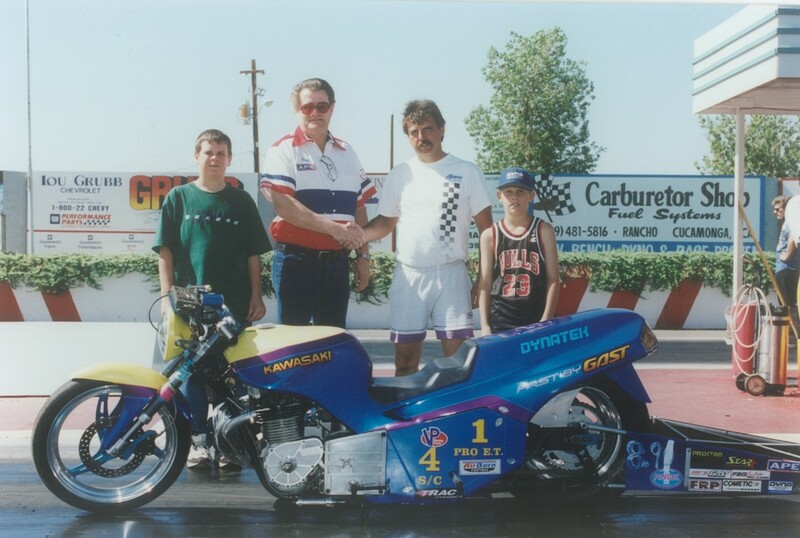 On occasions you’ll still see Mike at the races, sometimes in the pits talking to old friends and foes, other times on one of his bikes giving the new generation of racers lessons. 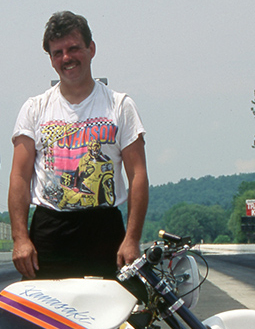 Know this: if you’re a drag racer and you see Mike Konopacki line up with you some Sunday afternoon, don’t make any mistakes on your run or you’re very likely going home early.